A mash-up is a familiar concept: combine two disparate elements to create something new. But what if you start with one thing throw away half of it? 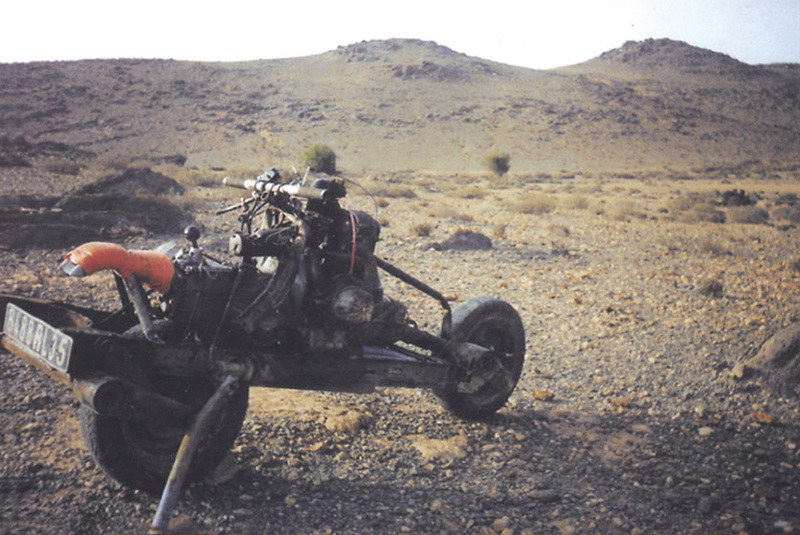 Case in point: I came across this amazing story recently about a man from France who, after wrecking his Citroen 2CV in the Moroccan desert, decided his best hope for survival was to build a motorcycle out of the remains of his fatally damaged car. The original story is in French but the link will take you to a Google-translated version. That said, the translation is a bit shaky. Take the term “camel face steel wheels” for instance. Do they sell those at the African Tire Rack? Still, it’s an ingenious piece of MacGyvering.